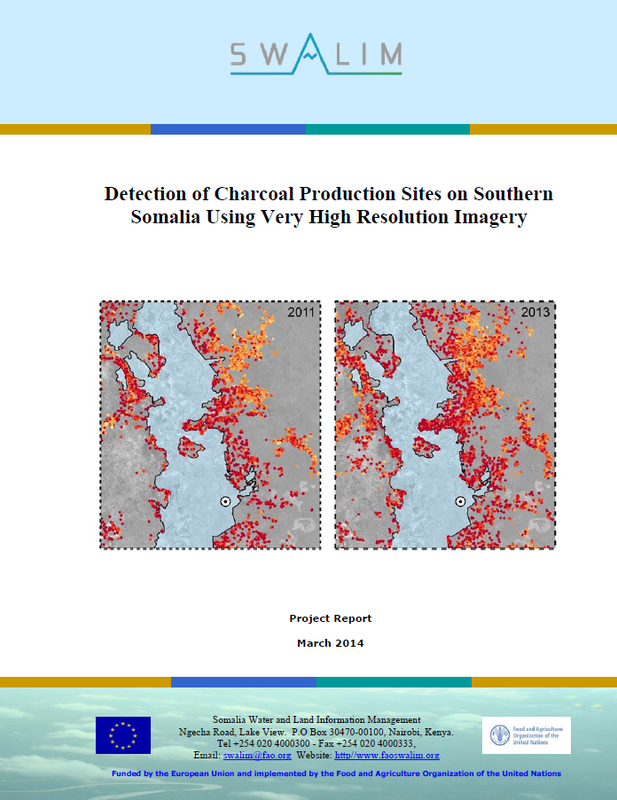 Remote Sensing and image analysis is a key part of SWALIM's data gathering activities. Remote Sensing (RS) refers to the acquisition of information without coming into physical contact with the object or area being studied. SWALIM uses Very High Resolution (VHR), Medium Resolution (MR), Low Resolution (LR) satellite images and aerial photography to carry out remote sensing studies. The satellite images are acquired from the Digital Globe Enhanced View Web Hosting (EVWH) archive, the Earth Explorer archive of the United States Geological Survey (USGS) and also purchased, through FAO headquarters in Rome, from commercial providers such as MDA (MacDonald, Dettwiler and Associates) Geospatial Services. These sources are further complemented by Google Earth images for fast assessments and whenever suitable satellite images are not available. The acquired images go through a rigorous process of verification, analysis and processing by SWALIM experts, after which a wide range of new products are generated in different formats such as maps, tables, raster, charts, graphs and shape files. VHR satellite images are mainly used for the remote monitoring of rehabilitation works on irrigation canals, water catchments, feeder roads and other infrastructure, and to assess the impact of these interventions. Medium- and high-resolution satellite images have also been used for estimating the cultivable areas in the country in order to establish the agricultural land potential and estimated production for the different cropping systems at regional and district levels. In addition, SWALIM has used remote sensing tools in activities such as mapping and characterization of land cover and land use, land use planning and land degradation monitoring. Mapping of river bank breakages along the Juba and Shabelle Rivers, undertaken to provide information for aid agencies involved in flood control along the two rivers. Monitoring of rehabilitation works and rehabilitated infrastructure on behalf of NGOs. Following more than 20 years of civil unrest, environmental information for Southern Somalia is scarce while there is clear evidence that the war economy fuelled by the conflict is rapidly depleting the country’s natural resources, especially the woody biomass.